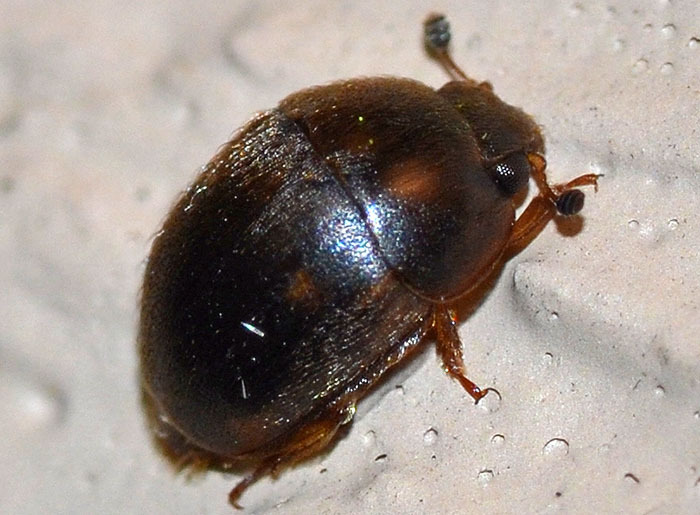 Amphicrossus ciliatus is a little beetle in the family Nitidulidae. It prefers sap during the spring and flowers of Eupatorium (in the aster family) and related plants in the fall. The beetle was attracted to our porch light.